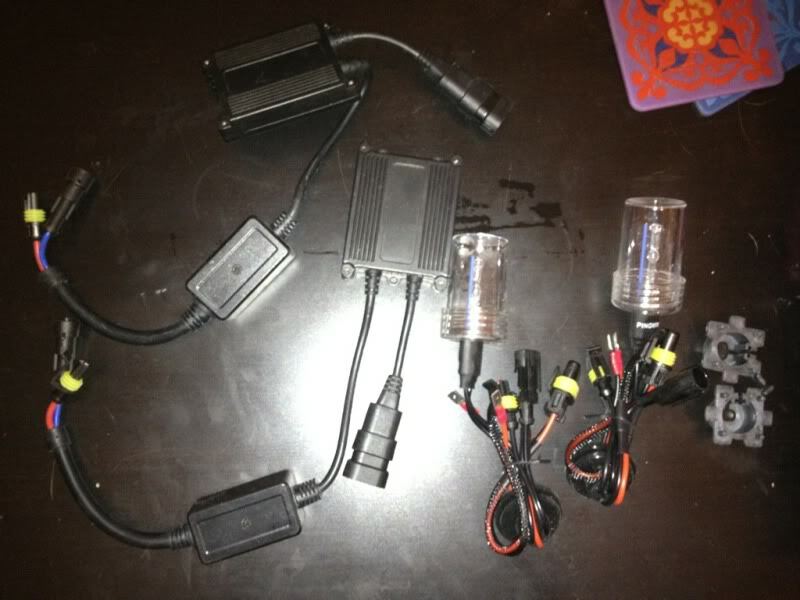 Bought a set of HIDs from DDM Tuning, after being referred by Jeff Jones. I purchased the 35w 8000k kit. I have yet to install them since I just got them today. The kit came with a pair of bulbs, a pair of ballasts, and two spacers all shown below. Shipping and processing were a joke. The package came from Taizhou Jiangsu, China via USPS. I ordered them May 3, the shipment was accepted in China on May 7. At one point the item was stuck in New York for six day which was silly. And I got them today, so a total time of 16 days between ordering and delivery. That's probably because the result of international shipping, but once it entered the U.S. it was delayed. I'll write a reply after I get them installed and post a picture of the bike with them on. Shipping and processing were a joke. The package came from Taizhou Jiangsu, China via USPS. I ordered them May 3, the shipment was accepted in China on May 7. At one point the item was stuck in New York for six day which was silly. And I got them today, so a total time of 16 days between ordering and delivery. That is the usual ship time from them as they are almost always shipped straight from China. If you look at this install by "sick97ss" you may have to trim the spacers to make them sit flat.